After any meal, I need a little sweet. It can be just a tiny bite, but I deem it necessary for proper digestion. Some people think this is ridiculous and that digestion is not aided by sugar. However, a number of people I know agree with this theory that a little sweet after supper goes a long way. I was recently introduced to the ideal post-dinner treat, Godiva Dark Chocolate Pearls. They come in a small metal box that's easy to throw and tote around in one's bag. 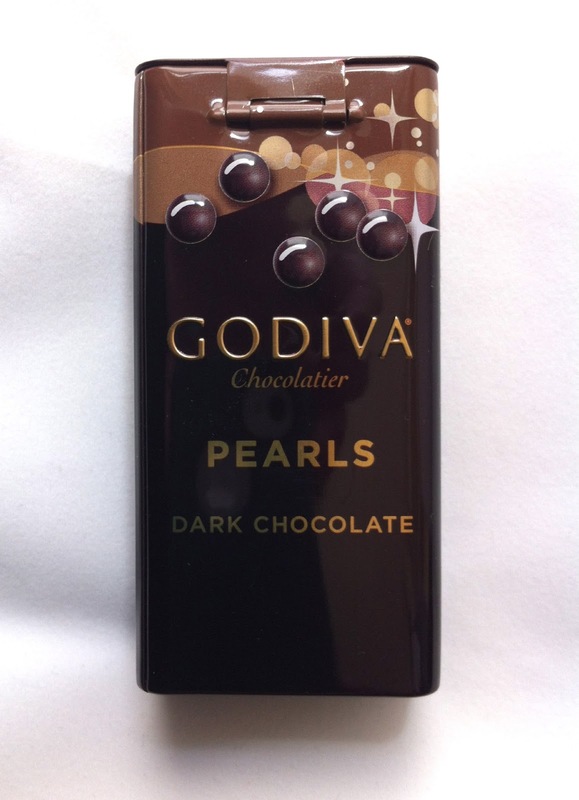 Each pearl is pure dark chocolate, a little larger than a tapioca pearl. The dark chocolate melts slowly in your mouth so that you can savor the experience without having to dive compulsively into the box for more and more. A few will do you just right! Thanks, Irene, for introducing me to these little gems of chocolate delight! I wonder where you got that need for a little sweet right after a meal? These sound divine!